YesYouCan ! – How to support the cultural activities of disadvantaged groups started as a learning partnership partly funded by the European Commission under the Lifelong Learning programme that pooled experience and expertise as well as examples of good practice of small organisations that have the right frame of mind when it comes to seeking opportunities for fund raising and financial support for their activities. RICK'S cafe' network started up with the financial support of the European Commission under the Comenius funding programme. It is a network of schools, policy makers and NGOs active in the field of education, media, youth and school management. It has been active since 2010 and is now implementing its own training programme in areas of innovation in education and teacher training with topics that were started up in discussion forums and training that RICK'S cafe network had over the years. ROCKINeu is a platform for young bands and performers who network and interact with musicians with more experience who share what music and performance have taught them over the years. It is a network of talents from Europe and the Mediterranean who come together to build opportunities and work in joint projects that give them experience and exposure. ROCKINeu was started up by VisMedNet in 2014 setting the scene for a structured network that includes various genres of rock music for a variety of audiences. 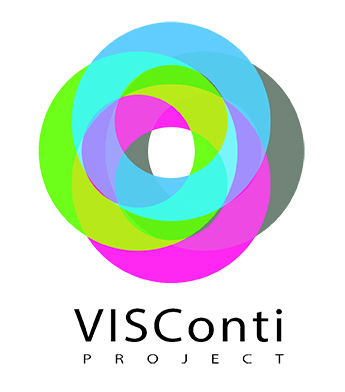 VISConti is a strategic partnership for Capacity Building for Vocational Schools. The partnership is made up of 17 universities, schools, education authorities and other organisations from 9 countries under the leadership of the Norges Teknik-Naturvitenskapelige Universitet of Norway. It is in part financed by the European Commission under the Erasmus+ funding programme. VisMedNet is the leader of the effort to turn VISConti into a self sustainable network in the future. The idea of VisMedNet was born in the SEEP Network. A group of members and active participants in the activities of the Science Education European Platform chose to continue with the work of the network after the end of the funding from the Comenius Funding Programme. It has succeeded in consolidating and aligning all the materials and resources produced by the SEEP network into new initiatives to keep the networking going on a self sustainable basis. YEA is funded by the European Commission under the Erasmus+ programme. It will promote education and social entrepreneurship among young people by integrating entrepreneurship training into youth services in the field of creative, performing and digital arts. VisMedNet is responsible for the dissemination strategy, is leader of the local network in Malta and will work to make YEA a viable network in the future.